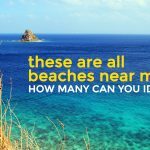 It’s no secret that the Philippines has many beautiful beaches that attract local and foreign tourists. However, there’s more to the country than bone-white sand beaches and cerulean glass-like waters. 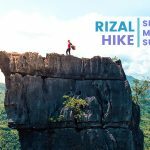 You have plenty of options when it comes to chasing waterfalls, from Luzon to Mindanao. These natural wonders are either accessible or require a long trek, but regardless of how you get there, these falls are worth going to. Laguna is a nearby destination that many can easily get to. The province has history, culture, and plenty of natural wonders, whether it is a lake or a waterfall. One of its most popular attractions is Hulugan Falls. This accessible waterfall requires a short trek on the mostly paved road. Once you get to the site, you will immediately see the powerful water falling from several meters high. The once sleepy town is now a booming tourist destination. The best time to visit to avoid the crowds is on a weekday. The North isn’t just about beautiful mountains that touch the sky, there are other noteworthy attractions such as Bomod-Ok Falls. It is probably Sagada’s most famous waterfall. The trek takes you on an adventure through steep declines. Getting to the waterfall may be challenging, but the journey is part of the adventure as you get to see rice terraces and spectacular views of the landscape. As you get closer, you start to hear the crash of water on the rocks below it. Take a dip in the chilling waters to revitalize your body and inject it with energy for the difficult trip back up. La Union is a famous surfing destination for both locals and foreigners; however, visitors can chase waterfalls in this province. One of the most beautiful and must-visit in the region is Tangadan Falls in San Gabriel. The waterfall has two basins where you can swim; one is above the other and is directly below the cascading water. Cebu is famous for its beautiful beaches in Bantayan or the sardine run in Moalboal; however, there is more to this island. You may have already heard of Kawasan or Tumalog Falls, but another waterfall that’s worth a trip to is Inambakan. The waterfall is easy to get to, it only takes a short bus and habal-habal ride. The partially paved road to the falls makes the trek easy for everyone. Once you get to the site, Inambakan will surprise and mesmerize you with its beauty. The waters fall off the cliff covered in plants and foliage and into a turquoise-tinged pool below. The pool is deep enough in some parts for cliff divers to take the plunge. The Dimiao Twin Falls cascades over a cliff tucked in a forest in Bohol; don’t fret as the trek to get to the waterfall is short and easy. Once you get to the site, the bluish and cool waters will entice you to swim to douse the heat and wash off the sweat. There is a dry part where you can have a picnic with friends or family. Mindanao is a beautiful region with many natural attractions; one of the main draws of Cotabato is Asik-Asik Falls. For those who want to get to these waterfalls, prepare for an adventure. You have to go through rough dirt road on a motorbike, some parts have a steep descent and ascent, making it difficult to go down and back up. However, once you reach the jump-off point, getting to Asik-Asik is easier. Asik-Asik is a distinct natural phenomenon because you won’t see a stream or river above the wall of lush vegetation. The torrential water comes from the spring covered by rocks and foliage, cascading 60 meters down. It is approximately 140 meters wide, making it a majestic sight to behold. Take a dip in the cool waters to douse the heat, remove the dirt, and revitalize your body. 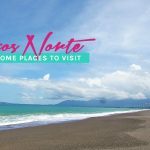 Davao Oriental has one of the best surf beaches in the country in Dahican, but it also has one of the most majestic waterfalls in the Philippines, which is Aliwagwag. Situated in Cateel, this nature’s work of art is worth the long trip to get there. The raging waters cascade beautifully on rock formations. It has more than 100 cascading waterfalls. 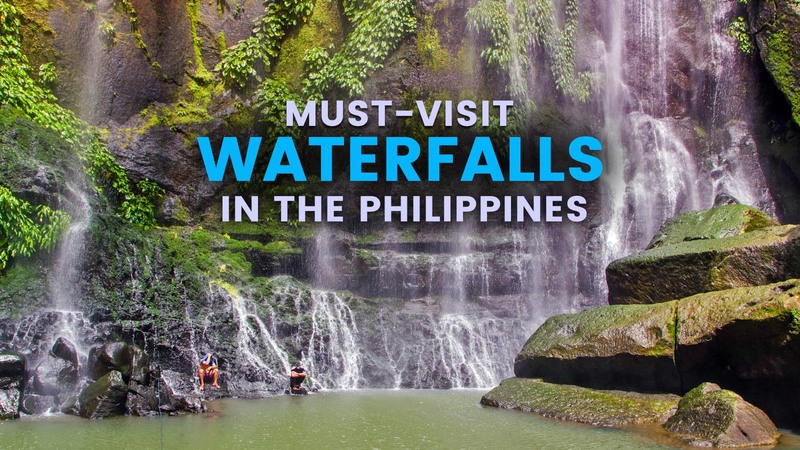 These are only some of the many beautiful and must-visit waterfalls in the Philippines. There are plenty more waiting to be discovered by those who want to go on an adventure.